I spent two hours on Monday morning watching the announcements of the ALA Youth Media Awards (plus the PreGame and PostGame shows with Betsy Bird and Lori Prince). It was so much fun. For once, I was glad Aaron did not have to be to school until 9:00. The awards surprised and delighted and irritated me. I haven't read enough to be an authority on any of the awards, but I have still have opinions about the Geisel, Caldecott, and Newbery, so I'll share my thoughts on those. First, the Theodore Seuss Geisel award. You are (Not) Small won the medal and Waiting is Not Easy and Mr. Putter and Tabby Turn the Page won honors. We've read (and loved) all three of them. 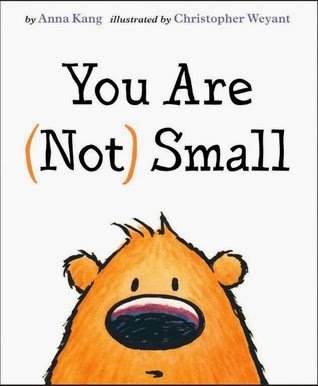 You are (Not) Small is clever and funny, and I love it when a picture book gets the easy reader award. Let this be a lesson (once again) that the easy reader section of the library is not always the best place to find easy readers. I bought Waiting is Not Easy after getting fed up with waiting for my turn at the library (the irony did not escape me . . . ), and I'm glad we own it. Since we are loyal Elephant & Piggie and Mr. Putter & Tabby fans, I was thrilled to see both of these books honored but also a little disappointed too. 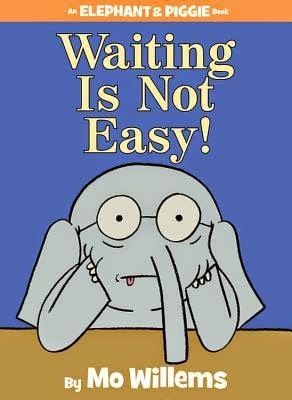 Year after year we see Mo Willems take away Geisel awards, and Cynthia Rylant is also a household name in the easy reader department (although I believe this is only her second Geisel). They deserve all the praise and attention they get, but there's a part of me that wonders, Where's the competition? The beginning reader stage is such a critical point in a reader's development. We need strong books that will be both engaging and simple. I would love to see some other authors step it up for future years. Next up, the Randolph Caldecott award. 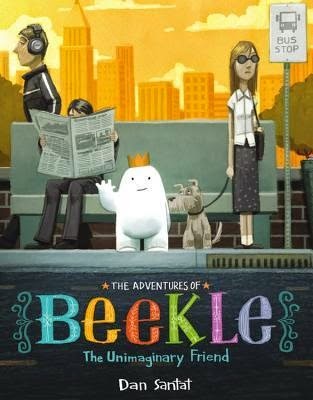 The Adventures of Beekle: The Unimaginary Friend won the medal, and six books (six! SIX!) came away with honors: Nana in the City, The Noisy Paint Box, Sam & Dave Dig a Hole, Viva Frida, The Right Word, and This One Summer. Out of all these, we'd read a whopping two (The Adventures of Beekle and The Noisy Paint Box). I'm feeling extremely annoyed and frustrated with our library right now. I wouldn't have expected to have read This One Summer (it's a teen graphic novel), but yes, the others I would have hoped I could have read earlier in the year. I'd definitely heard about all the others (except for Nana in the City, which our library doesn't even have in their system), but my turn just hasn't come up for them (I have literally been waiting for Sam & Dave for over three months (since October 25th), and I'm still #15 on the list). I know I shouldn't be annoyed since the library is free and all, but seriously? I really would have loved to have read these books before they won. Out of the 2014 picture books that I did get to read, Beekle was not my favorite, but I have no real complaints about it. It was cute, and I'm looking forward to reading it again. 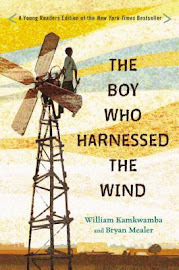 And as far as a teen graphic novel winning a Caldecott Honor? I have no doubt the illustrations probably are splendid, but I am still not okay with that. The Crossover won the medal and Brown Girl Dreaming and El Deafo won honors. I'm a little scared to talk about this one since my irritation has only been mounting in the days since the awards were announced. 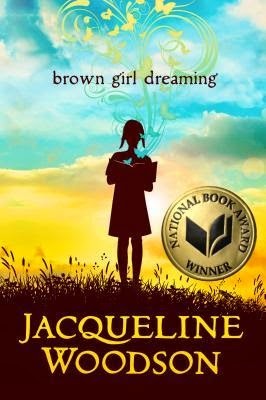 But before I get to that, let me say that I am ecstatic about Jacqueline Woodson's Honor for Brown Girl Dreaming (it also won the Coretta Scott King award, a Sibert Honor and, earlier, the National Book Award). 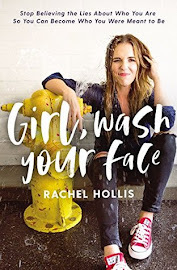 It was one of my very favorite reads from last year, and I even bought my own copy soon after finishing it (and when it comes to buying books, I am rather stingy, so that's saying something). It was a gorgeous memoir, and I highly, highly recommend it. No, my irritation stems from two other areas. First, that only two books received honors. 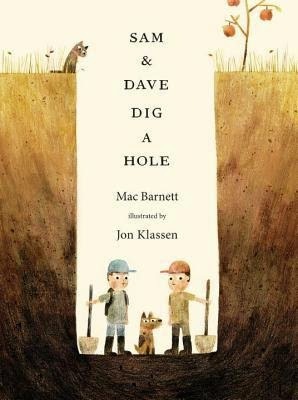 For the record, I thought the Caldecott's six honors was a little over the top, but only two honors? With so many amazing books published last year, it just seemed rather skimpy. And, you may have noticed, the awards went to one graphic novel and two verse novels with nary a traditional novel in sight. Since Monday, I've read various opinions about the awards, and people have been throwing around words like, "game changing!" "groundbreaking!" "diverse!" They've been saying things like, "Wow, that committee really made a statement." Seriously?! Is that what these awards have come down to? Making a statement? Have we now gone from honoring the "most outstanding contributions in children's literature" to "making a statement"? Don't get me wrong--I am happy to see authors of all races, religions, and opinions being recognized. I am happy to see books featuring diverse people and situations receiving medals. I am happy to see many different genres earning notice. But . . . I would sincerely hope that the award isn't purposely being jammed and twisted and forced onto a certain book that it doesn't fit simply in order to make it "groundbreaking." Like I said before, I'm not saying that the books that were chosen weren't the most distinguished. I'm just scared by the words I'm hearing. It seems like everyone is focusing more on how much the envelope can be pushed and less about the actual literary merits of a particular work. I get that a committee is made up of individuals with their own personalities and interests, so it makes sense that some books are going to be favored more one year than another. But I'm scared because, since the committee went with one winner and only two honors, even I'm inclined to think they were trying to make a statement--to make it glaringly obvious that they were trying to create a nontraditional year. I want to wish my heartiest congratulations to all the winners. They deserve all the praise and attention they're receiving. But I also want to go on record as saying that I still believe a traditional novel can be distinguished. I would absolutely love to hear your thoughts about the 2015 ALA Youth Media Awards. Mike cares very little about these awards, and I'm dying to talk to someone else about them! But one year without a traditional novel won't break anything. I'm an optimist and think that it's just a sign that enough good books with diverse characters are being printed that you can have a top list like this. And from the mock-Newbery's I've been in, sometimes you have big ties, and you don't have to resolve them if they aren't for first place. Big ties in 2nd or 3rd place mean a huge Honor list, big ties in 4th or 5th place mean a tiny one (because you just draw the line above them). Beth - Such good thoughts, and I definitely agree with you. 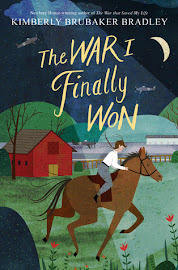 Last year was actually fairly traditional for both the Caldecott and Newbery, so I'm not so concerned with it given its history--more because everyone else seems to be making such a BIG deal about it. Like you, I feel like there are many, many books that naturally feature diversity so that we shouldn't have to say, "Bravo, committee! You picked a diverse book!" And you bring up a really good point about ties. That could definitely have been the case this year. hi! I've been following since you posted over at What do We Do All Day. I love to talk about this stuff too, and my husband...doesn't. I really loved El Deafo, and I think Monica over at Educating Alice makes a really great argument for its text standing alone (https://medinger.wordpress.com/2015/01/20/thoughts-on-newbery-el-deafo/). 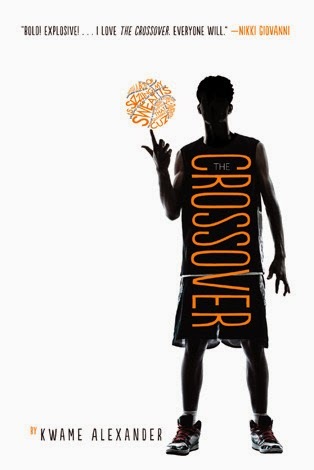 And, I loved The Crossover which came as a HUGE surprise to me because I really hate basketball and I don't love novels in verse. I am really pleased that it medaled.There weren't any novels that I was really rooting for this year, so I can't say I was disappointed on that front, but I was pretty sad that The Family Romanov didn't get recognized. I thought that one was really well done. Caldecott was a bit of a meh year for me. I have read all but the Noisy Box and enjoyed them well enough. Last year was such a great year, that it was maybe destined to not be so awesome this year? I am sad Farmer and the Clown didn't get recognized. It was my favorite. KT - Welcome! Thanks for your thoughts. Thanks for the link to Monica's review of El Deafo. I will definitely go read it after I've had a chance to read El Deafo myself. And I've heard similar sentiments as yours to The Crossover. I am also not a fan of basketball, but I love verse novels, so I'm pretty sure I'll like it. I agree that last year was a stellar one for the Caldecott, and even with SIX honors this year, it just didn't seem to compare. I'm sad about The Farmer and the Clown too. How did you feel about This One Summer receiving an Honor? Have you read it? I'm with you--the county library is taking so long to process books these days! I finally had to check out Sam and Dave from the city. Definitely post your review if you read The Crossover. I know! Even though I do occasionally check out things from the city library, I've been having bad luck lately with getting them back over there on time. This week I've been trying to order all of the ALA winners for the library, and Amazon is out of stock of almost all of them. It's like your months-long wait at the library. I guess it's good news--people are reading. But is their reading too prescribed? All I know is I've read tons of recent years' ALA winners and they're almost never my favorite reads of the year. It seems a shame that we talk and talk about SO MANY good books during the year, and then once the awards happen, we focus on the ones that won, and the other ones start to fade from memory. But if they were worthy to talk about before the awards were handed out, aren't they still worthy to talk about afterwards . . . even if they didn't win anything? Yes, I definitely agree with you that you can't form an honest opinion without reading all the winners first (and I apologize if my tone sounded overly judgmental! I can get a little worked up sometimes!). I checked out El Deafo right after the awards were announced and finished it yesterday. I thought it was an awesome book, but personally, I don't think it would have made it without the pictures (and I believe Cece Bell chose the graphic novel medium very intentionally because she knew that it would carry the greatest impact in telling her story). Oh, I would have loved to listen in on the committee's reasons for selecting it because, as you said, I know they take the guidelines very seriously.